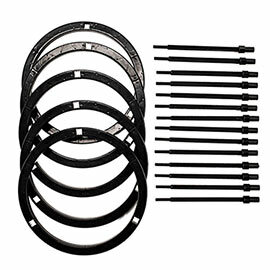 Our Plant Support Kit is made of plastic and is stronger and sturdier than wire supports. Assembly is easy—simply click the plastic rings together to the height of your choice. It's perfect for tomatoes grown in containers, and it's strong enough for tall cutting perennials like delphinium. Love vines but don't have a fence or trellis? 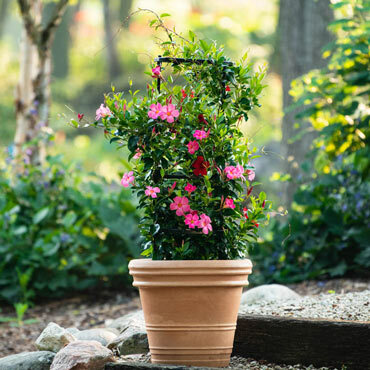 Now you can grow vines anywhere by supporting them with this Plant Support Kit. Easily disassembles for winter storage. 40"H x 12 ½" diameter.